Fancy a free glass of prosecco after work in Sheffield this Friday? Here’s how! To celebrate International Women’s Day, Bill's Restaurants are offering all women a FREE glass of prosecco after 5pm until close when they order a main course this Friday, March 8. Fancy a free glass of fizz this Friday? 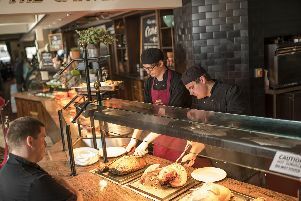 The offer will be across all of their 81 restaurants – including the branch at St Paul’s Place near the Peace Gardens. READ MORE: Are these the 20 best beer gardens in Sheffield? In the heart of the city centre, Bill’s Sheffield restaurant has a quirky industrial look and feel.